This is for the POW/MIA symbol. Don't be fooled by cheap imitations...this is the "real" deal made by a 100% disabled Vietnam Vet! 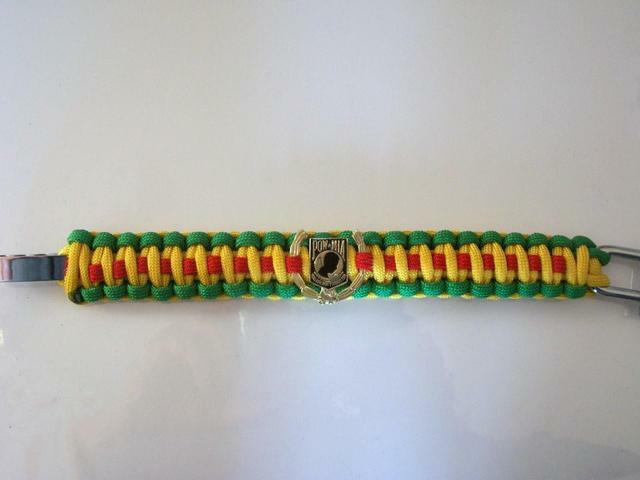 Each bracelet is made 550 lb test paracord, this Vietnam Service Medal themed rescue bracelet is a must have for your rescue gear or everyday wear. 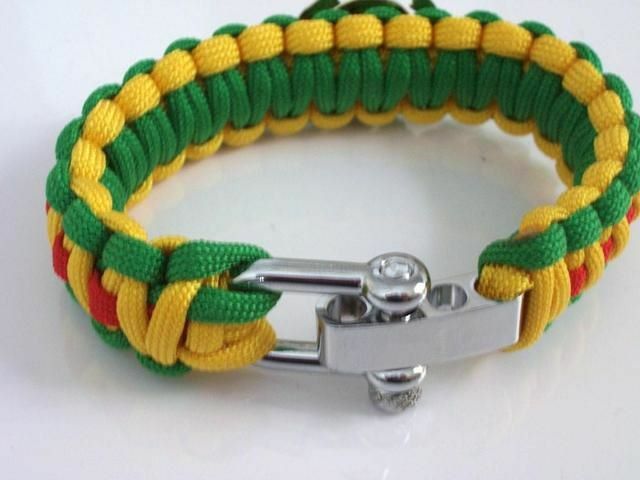 Made to honor Vietnam Veterans, this colorful bracelet is stylish as well as practical! Each bracelet is HAND CRAFTED and made with Mil Spec Paracord 550. In an emergency, you can simply unwind the bracelet to give you 18 feet (average) of potentially life-saving cord. These bracelets are one size only...They are 9 1/2 inches in total length (including a shackle which has three screw hole adjustments)...PLEASE MEASURE YOUR WRIST BEFORE ORDERING! 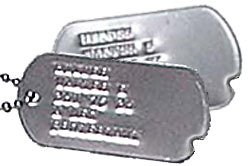 Other vendors are fetching $30.00 and more...we are trying our best to keep our prices reasonable for our veteran data base...remember, all orders of $49.99 are shipping free...so stock up!